Destined to become a key work of subaltern studies and a crucial intervention in postcolonial scholarship, Stitches on Time probes the relationships between empire and modernity, nation and history, the colonial and the postcolonial, and power and difference. Saurabh Dube combines history and anthropology to provide critical understandings of the theory and practice of historical ethnography and contemporary historiography. Drawing on extensive archival research and innovative fieldwork as well as political economy and social theory—including considerations of gender—he unpacks the implications of specific Indian pasts from the middle of the nineteenth century through the end of the twentieth century. Dube provides incisive accounts of the interactions between North American evangelical missionaries and Christian converts of central India, and between colonial legal systems and Indian popular laws. He reflects on the difficulties of history writing by considering the production and reception of recent Hindu nationalist histories. Assessing the work of the South Asian Subaltern Studies Collective, he offers substantial critical readings of major writings by Ranajit Guha, Dipesh Chakrabarty, Partha Chatterjee, and others. Dube develops the concept and practice of a “history without warranty” as a means of rigorously rethinking categories such as modernity, colonialism, the West, the postcolonial, and the nation. How Important. Vergennes's Prophecy. England in Debt. Tempted to Tax Colonies. Colonies Strengthened. Military Experience Gained. Leaders Trained. Fighting Power Revealed. Best of All, Union. How Developed. Nothing but War could have done This. Scattered Condition of Population then. Difficulties of Communication. Other Centrifugal Influences. France no longer a Menace to the Colonies. But a Natural Friend and Ally. 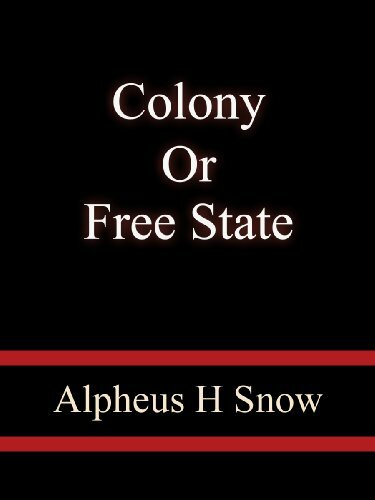 Increase of Territory at the Colonies' Disposal. In The Story-Time of the British Empire, author Sadhana Naithani examines folklore collections compiled by British colonial administrators, military men, missionaries, and women in the British colonies of Africa, Asia, and Australia between 1860 and 1950. Much of this work was accomplished in the context of colonial relations and done by non-folklorists, yet these oral narratives and poetic expressions of non-Europeans were transcribed, translated, published, and discussed internationally. Naithani analyzes the role of folklore scholarship in the construction of colonial cultural politics as well as in the conception of international folklore studies. Since most folklore scholarship and cultural history focuses exclusively on specific nations, there is little study of cross-cultural phenomena about empire and/or postcoloniality. Naithani argues that connecting cultural histories, especially in relation to previously colonized countries, is essential to understanding those countries' folklore, as these folk traditions result from both internal and European influence. The author also makes clear the role folklore and its study played in shaping intercultural perceptions that continue to exist in the academic and popular realms today. 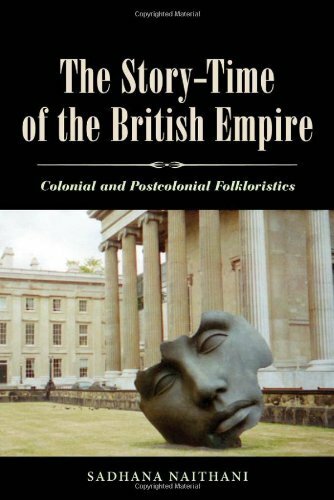 The Story-Time of the British Empire is a bold argument for a twenty-first-century vision of folklore studies that is international in scope and that understands folklore as a transnational entity. Crowning a decade of innovative efforts in the historical study of law and legal phenomena in the region, Crime and Punishment in Latin America offers a collection of essays that deal with the multiple aspects of the relationship between ordinary people and the law. 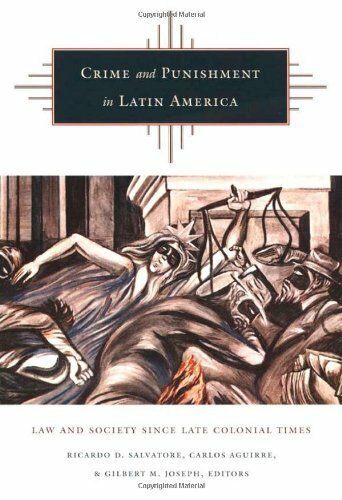 Building on a variety of methodological and theoretical trends—cultural history, subaltern studies, new political history, and others—the contributors share the conviction that law and legal phenomena are crucial elements in the formation and functioning of modern Latin American societies and, as such, need to be brought to the forefront of scholarly debates about the region’s past and present. 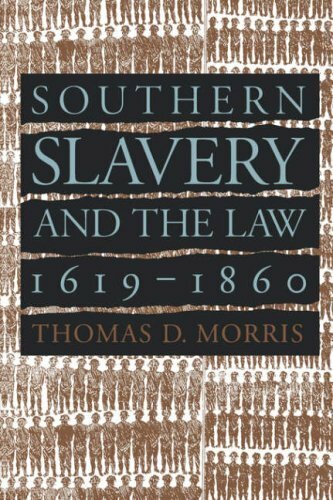 While disassociating law from a strictly legalist approach, the volume showcases a number of highly original studies on topics such as the role of law in processes of state formation and social and political conflict, the resonance between legal and cultural phenomena, and the contested nature of law-enforcing discourses and practices. Treating law as an ambiguous and malleable arena of struggle, the contributors to this volume—scholars from North and Latin America who represent the new wave in legal history that has emerged in recent years-- demonstrate that law not only produces and reformulates culture, but also shapes and is shaped by larger processes of political, social, economic, and cultural change. In addition, they offer valuable insights about the ways in which legal systems and cultures in Latin America compare to those in England, Western Europe, and the United States. In this creative, ethnographic, and historical critique of labor practices on an Indian plantation, Piya Chatterjee provides a sophisticated examination of the production, consumption, and circulation of tea. A Time for Tea reveals how the female tea-pluckers seen in advertisements—picturesque women in mist-shrouded fields—came to symbolize the heart of colonialism in India. Chatterjee exposes how this image has distracted from terrible working conditions, low wages, and coercive labor practices enforced by the patronage system. 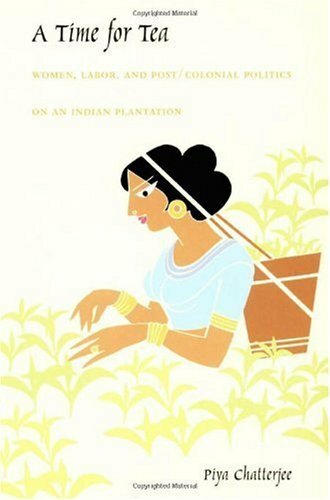 Allowing personal, scholarly, and artistic voices to speak in turn and in tandem, Chatterjee discusses the fetishization of women who labor under colonial, postcolonial, and now neofeudal conditions. In telling the overarching story of commodity and empire, A Time for Tea demonstrates that at the heart of these narratives of travel, conquest, and settlement are compelling stories of women workers. While exploring the global and political dimensions of local practices of gendered labor, Chatterjee also reflects on the privileges and paradoxes of her own “decolonization” as a Third World feminist anthropologist. 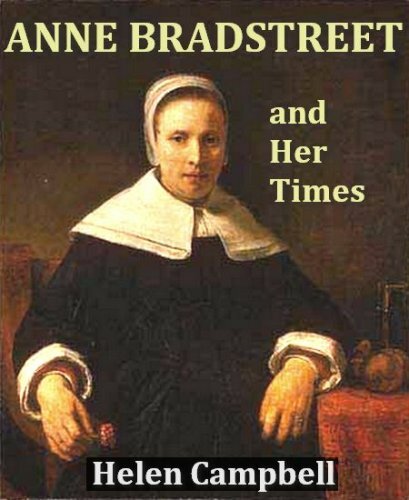 The book concludes with an extended reflection on the cultures of hierarchy, power, and difference in the plantation’s villages. 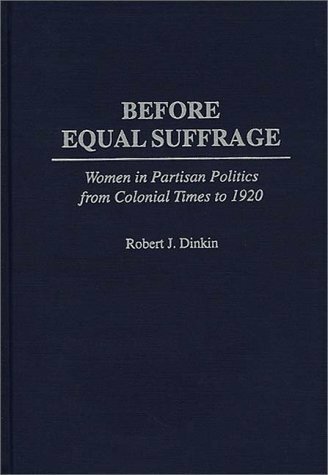 It explores the overlapping processes by which gender, caste, and ethnicity constitute the interlocked patronage system of villages and their fields of labor. The tropes of coercion, consent, and resistance are threaded through the discussion. A Time for Tea will appeal to anthropologists and historians, South Asianists, and those interested in colonialism, postcolonialism, labor studies, and comparative or international feminism. Designated a John Hope Franklin Center book by the John Hope Franklin Seminar Group on Race, Religion, and Globalization. I read this book immediately after its publication and eventually assigned a few sections to one of my classes. The students loved the material and the writing. Piya Chatterjee artfully tells the story behind the tea that we drink. Portions of the book will make you gasp, as you read that some believed that only virgins could pick the tea leaves, since non-virgins would destroy the leaves by merely touching the leaves! This book makes the startling case that North Americans were getting on the "information highway" as early as the 1700's, and have been using it as a critical building block of their social, economic, and political world ever since. By the time of the founding of the United States, there was a postal system and roads for the distribution of mail, copyright laws to protect intellectual property, and newspapers, books, and broadsides to bring information to a populace that was building a nation on the basis of an informed electorate.In the 19th century, Americans developed the telegraph, telephone, and motion pictures, inventions that further expanded the reach of information.In the 20th century they added television, computers, and the Internet, ultimately connecting themselves to a whole world of information. Does the Information Age predate computers? Does it, in fact, predate the Industrial Age? Though this thesis isn't explicitly examined in A Nation Transformed by Information: How Information Has Shaped the United States from Colonial Times to the Present, the reader can't help but think about it throughout. 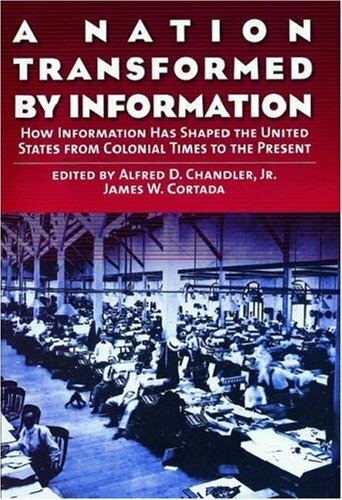 Editors Alfred D. Chandler Jr. and James W. Cortada assembled a healthy mix of historians and management consultants to write the history of information services in America, and the very mild pro-business bias is more than balanced by the deeper insight into the companies and corporations that did much to spur technological change. I very much enjoyed this book, but like two other reviewers, noticed many technical writing errors.I still found the content fascinating and a good read, but the errors are distracting and that is the only reason why I gave it 3 stars instead of 5.The fact that I would bump it down to 3 stars instead of 4 based on that one criteria should give you an idea of just how bad the editting was.However, even with that said, I would still highly recommend the book if the topic is of interest. extremely poor editing.There were numerous grammatical and sentence structure errors, contradicting statements misspellings and general redundancy that really detracted from the information being presented. This book was interesting, but the editing was so poor that I started to mistrust what I was reading. For instance the famous first telegraph message "What hath God wrought" was printed as "What God hath wrought." The book is full of typos. An exciting history of information media. This book is a collection of essays on the movement of information, and how it has transformed the United States from its colonial beginnings to today. At the very beginning, the founders of the country subsidized the transportation of newspapers through the postal system; this allowed the free flow of information between cities and states, across the entire continent. As technology increased, it inevitably speeded and expanded the amount of information flowing throughout the country--from the railroad, through the telegraph, telephone, radio, motion pictures, television, and on into computers. This book is an exciting history of information media. Though written by no less than seven contributors, it pulls together into seamless whole, almost as if written by one author. The depth of information is breathtaking, and the conclusions reached are fascinating. Indeed, I think that they admirably proved their contention that there was continuity in the development of information media, and I myself repeatedly saw history repeat itself through their narrative, right up to today. Alan J. 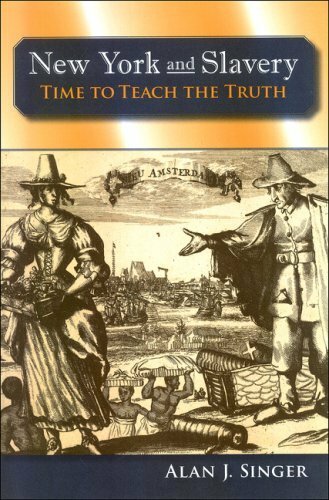 Singer (Professor of Secondary Education, Hofstra University) New York and Slavery: Time to Teach the Truth is more than a history of slavery in early New York; it's a guide for educators, historians, and thinkers to teaching the next generation the whole truth about New York's legacy of slavery, emphasizing that "Black History is American History". "Too often the public or 'official' version of history follows one of three fundamentally unreliable and predictable models. There is the uncritical patriotism presented at national monuments such as the Alamo or Mount Vernon... The 'Disney' version of history roughly draws on the past as a starting point to present entertaining and marketable stories that tells little about actual events or people... Meanwhile, for the so-called History Channel, history is most often reduced to blood and gore, a whirlwind of war, natural disasters, and other kinds of mayhem." Offering a variety of methods to teach young people the truth about the history slavery in America, from "mock slave auctions" to core historical ideas upon which a curriculum can be solidly grounded, New York and Slavery resists the all-consuming drive to make scoring well on standardized tests the goal of education, emphasizing rather the importance of focusing on the realities of history and helping young people become savvy critical thinkers. Indeed, the title of "New York and Slavery" is slightly misleading since it deconstructs myths about slavery in all the Northern states, not just New York. An absolute "must-read" supplementary resource for junior high, high school, and even college American History educators. Formatted for the Kindle. Linked Contents. From the time of the acquisition of Porto Rico and the Philippines, in 1898, under a Treaty with Spain which left indefinite the relations between the American Union and those regions, the question of the nature of this relationship has been discussed. The Republican party, which has been in power ever since the war, has justified its acts on the ground of political necessity. Its policy has been that of giving the people of the Islands good administration, just treatment, and all practicable self-government. The Democratic party has declared such a policy to be only imperialism and colonialism under another name. It has asserted that "no nation can endure half Republic and half Empire" and has "warned the American people that imperialism abroad will lead quickly and inevitably to despotism at home." It has characterized the Republican government in the Insular regions as an "indefinite, irresponsible, discretionary and vague absolutism," and Republican policy as a policy of "colonial exploitation." That the American people have believed the Republican administration to have been good and beneficent, is shown by their retaining that party in power. But it is perhaps not too much to say that nearly all thoughtful persons realize that some part of the Democratic complaint is just, and that there is at the present time a lack of policy toward the Insular regions, due to the inability of either of the political parties, or the Government, or the students and doctors of political science, to propound a theory of a just political relationship between us and our Insular brethren which will meet with general approbation. We are, however, not peculiar in this respect. Great Britain, France and Germany are in the same position. In none of these countries is there any fixed theory of the relationship between the State and its annexed insular, transmarine and transterranean regions. The British Empire, so called, containing as it does several strong and civilized States in permanent relationship with Great Britain, gives many signs, to the student, of the direction in which political thought is traveling in its progress toward a correct and final theory; but at the present time there seems to be no prospect of the emergence of a final theory in that country. Here in America, political thinking, following the line of least resistance, has, as a general rule, concentrated itself upon the Constitution of the United States, as if in that instrument an answer was to be found for every political problem with which the Union may be confronted. 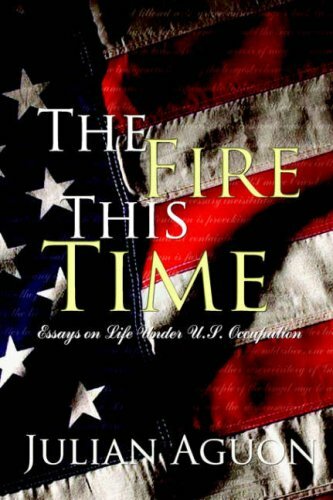 To some of us, however, it has appeared inconsistent with the principles of the American Revolution that the Constitution of the United States should be the Constitution of any communities except the thirteen States forming the original Union and those which they have admitted into their Union; and, while yielding to none in our belief in the supremacy of the Constitution throughout the Union, we have sought to base the relationship between the Union itself and its Territories and annexed insular, transmarine and transterranean regions, upon such principles as would enable the American Union to justify itself in the eyes of all civilized nations, and as would be consistent with the ideas for which it stood at the Revolution. Those of us who thus limit the effect of the Constitution to the Union are charged with advocating an absolute power of the Union over its annexed regions. It is assumed that there is no intermediate theory between that which assumes the Constitution of the American Union to extend to these regions in some more or less partial and metaphorical way,--for it is evident upon inspection that it cannot extend in any literal way,--and that which assumes that the Union is the Government of all these regions with absolute power.